A Map of the World : Where do covers come from? Where do covers come from? I owe the suggestion of this topic to my friend Rachel Dobson, who very subtly said “Blog about your book jackets!” or something of the sort. I’ve been very lucky with book covers. My first book, Working the Dirt: An Anthology of Southern Poets, which focused on poems about farming and gardening in the South, has on its cover a painting by Grant Wood titled “Fall Plowing.” My publisher, NewSouth Books, found the image, and their designer came up with a rich earth background color to highlight the earthiness of the painting. I couldn’t have been happier when I saw the cover mock-up. Books are always a collaborative effort, from writer to editor to designer to production manager to publicist to bookseller to reader, and for my next book I added a further level of collaboration: Wendy Reed and I co-edited a collection of essays titled All Out of Faith: Southern Women on Spirituality. Our editor at the UA Press, Dan Waterman, had asked us to be on the lookout for cover images, and one day while visiting Jake Reiss at the Alabama Booksmith in Homewood, right there on the counter I saw a postcard that I fell in love with. Immediately I thought, “This is it! This is the cover!” And then, “If Wendy or Dan doesn’t like it I will just somehow have to convince them.” Fortunately, they both did like it, and Bethanne Hill’s painting “All Day Singing and Dinner on the Grounds” became our cover. A big bonus of that was meeting and getting to know Bethanne and her work. We know when we’ve got a good thing going, so when Wendy and I decided to do a second collection of essays, we didn’t look around—we went straight back to Bethanne and started talking with her about the book, and she began playing around with images. What she finally came up with was exactly what we had imagined but better, an ecumenical rosary, a celestial chatelaine’s key ring, a set of charms for, if not an easy, at least a well-considered and well-lived life. She titled the image the same as the book, Circling Faith. Designer Michele Myatt Quinn at the Press created gorgeous jackets for both books. And now here I am, getting ready to publish (in Fall 2014) my first collection of short stories. I’m with the UA Press again, and we’re already lining up a cover. 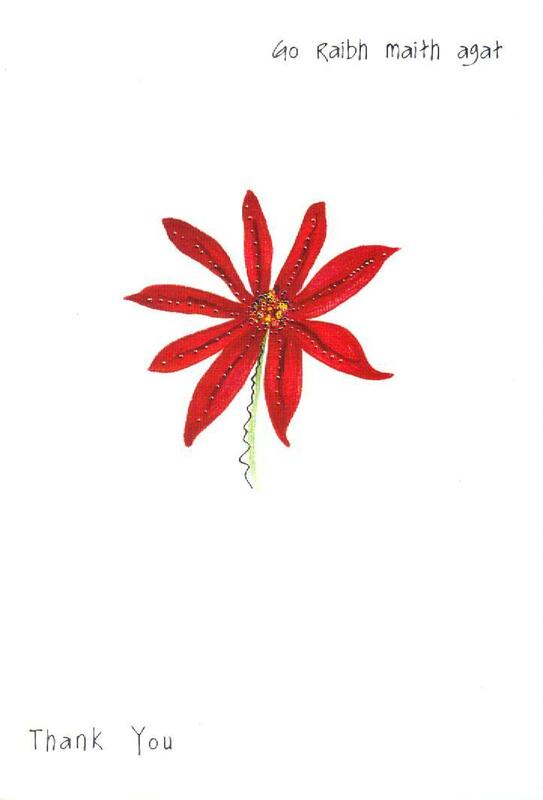 The book is titled Tell the World You’re a Wildflower, and I’d envisioned a simple flower, possibly red, for the cover, something striking and clear. Lo and behold, my friend Jennifer Fremlin gave me a thank-you note card she’d picked up on a trip to Ireland. A wonderful red flower, both humble and sparkly. The artist was Anne Feeney, who runs a gallery in Sligo, Ireland, a town I’ve gotten to know through the Yeats International Summer School, and, happily, she’s agreed to let us use the image for the cover of Wildflower. These are covers that make me smile when I look at them, thinking about the stories of where they came from.